Amid the filth and muck of England in the Dark Ages, a fearsome dragon stalks the land, casting a shadow of terror upon the kingdom of Bruno the Questionable. Who should emerge as the only possible savior but Dennis Cooper (Michael Palin), an endearingly witless bumpkin who stumbles onto the scene and is flung into the role of brave knight? Terry Gilliam’s first outing as a solo director—inspired by Lewis Carroll’s poem “Jabberwocky” and made following Gilliam’s success as a member of the iconic comedy troupe Monty Python—showcases his delight in comic nonsense, with a cast chock-full of beloved British character actors. 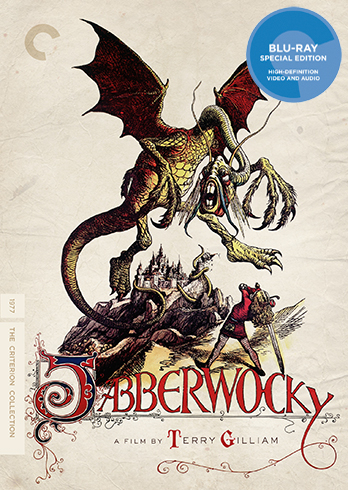 A giddy romp through blood and excrement, Jabberwocky remains one of the filmmaker’s most uproarious visions of society gone berserk.